Snowshoeing seems to be THE popular sport of winter this year, and with the amazingly sunny weather we've been having recently, a perfect opportunity to enjoy the outdoors and take some incredible pictures of the local scenery. 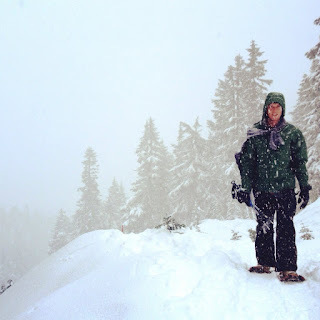 If you've never tried snowshoeing before and need an introduction to the basics, Snow Shoe Mag has put together a great First Timers Guide to Snowshoeing that includes a video introduction to the basics, what to look for in a pair of snowshoes, where to buy or rent a pair of snowshoes, and what to wear. - Make sure to wear LAYERS, it get's hot when walking up hill! Have you tried snowshoeing and love it? Want a bit more of a challenge? Why not sign up for Grouse Mountain's Snowshoe Grind Mountain Run 2013 on February 9th!? Registration fees are $35 for non-passholders and $25 for members. Have you been snowshoeing at our local mountains? Which one's your favourite? Have you taken an amazing photo while snowshoeing? Leave a comment or tweet us and share them!